Freeriding is a very attractive winter activity for the ski lovers. For your safety, we advise skiing with an IFMGA qualified mountain guide. 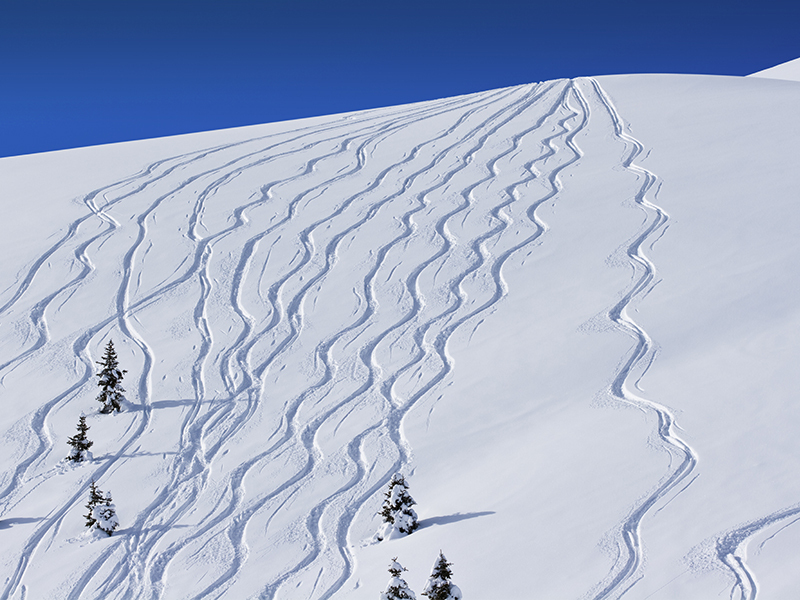 His experience and knowledge will safely bring you to untracked powder fields. The 3 Valleys offers a unique choice of runs of every difficulty, to please each and every skier. Laying down first tracks on virgin snow brings a great feeling of liberty and pleasure. We offer 1/2 days outings, group outings, or private guided skiing. Our guides provide safety equipment (transceiver, shovel, probe). 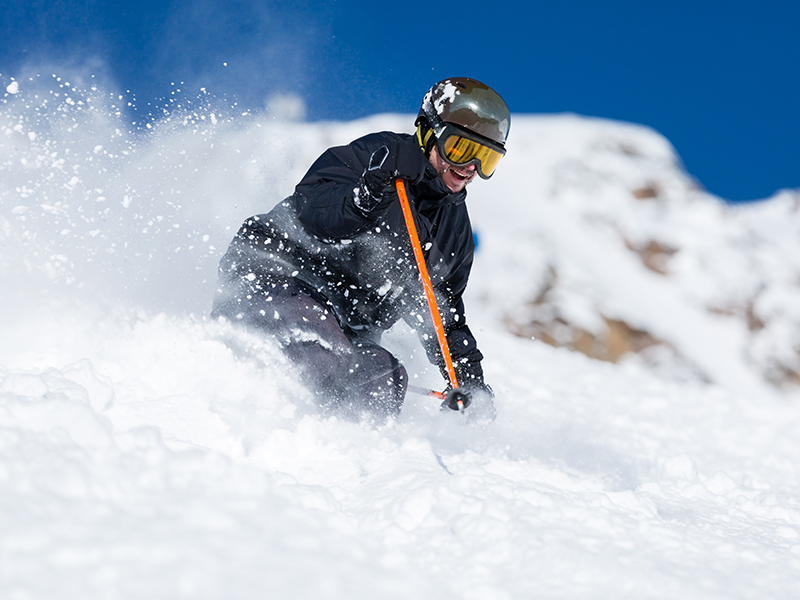 Want to join a group of other skiers for a day of freeriding with one of our guides ? Sign up for a group outing ! One of our guides will lead the group to fresh snow ! I will join a group to discover the local “secret spots”, all day long ! To allow you to discover the off-piste routes of the 3 Valleys in small groups. Beyond the well-known classics, which are varied and beautiful, each guide has developed his own secret garden: a private reserve that he will share with you. If you have faith, you may be drawn to the la Combe cure or le Couloir du Cure, or head over to the Saint-Pères… Elsewhere, the fresh snow of the Dou des Lanches , will without doubt soften your look. If you are on fire, you can cool down in the Rocher de l’Ombre! The Encombres are rarely busy and no one has ever cried “wolf!” while skiing the run of that name. If you are itchy, we can take a tour by the Gratte! Some will say that the Brequin is not so bad as all that, or that the fruit lacks flavour. You like to stay connected? We can ski the couloir de l’Antenne… And finally, if you lack imagination, we propose the Combe Sans nom: you will not be disappointed. You will have understood, that whether your guide is an expert in word games (or not!) he will be sure to accompany you on runs safely and with enthusiasm, for a carefully prescribed “pleasure” cocktail. Some advice to improve your technique; training in the use of the safety equipment (Beacon, shovel, probe) and in responsible behaviour in the mountains; these will all be an important part of the experience. Activity every tuesday and thursday from 9.30 am to 4.30 pm. Off-piste skiing near Meribel. Improving technique in order to access the classic off-piste runs, on a half day. Off-piste? Yes, it is possible! And it goes without saying that it is much more prudent to be accompanied by an off-piste and mountain professional. “First off-piste turns” in small groups, or “The thrill of your first powder tracks”, is how we should describe this first outing. We will organise a group for you, for a first time off-piste skiing experience in Meribel, la Tania, Courchevel or Val Thorens, les Menuires and Saint-Martin. There are numerous easy first time off-piste routes waiting for you, routes that are not challenging and which have low avalanche risk. Your guide will choose the best route for you to ensure that you do not end up in difficult conditions far from the groomed runs. You will be freed from all of the uncertainty that is associated with off-piste skiing, the safety concerns, the route choice and the ability level requirements. He decides, you enjoy! And he will give you the technical advice required to allow the magic to happen. – On the plus side: A short format for your first steps off-piste. A good atmosphere is guaranteed as we choose groups carefully. The company of a qualified mountain guide, a specialist in off-piste, who will adapt to your ability! – On the minus side: You may well want more, a half-day is short! – In brief: A half day together, in small groups of 6 persons maximum for a morning skiing, with instruction in technique and discussions on safety. 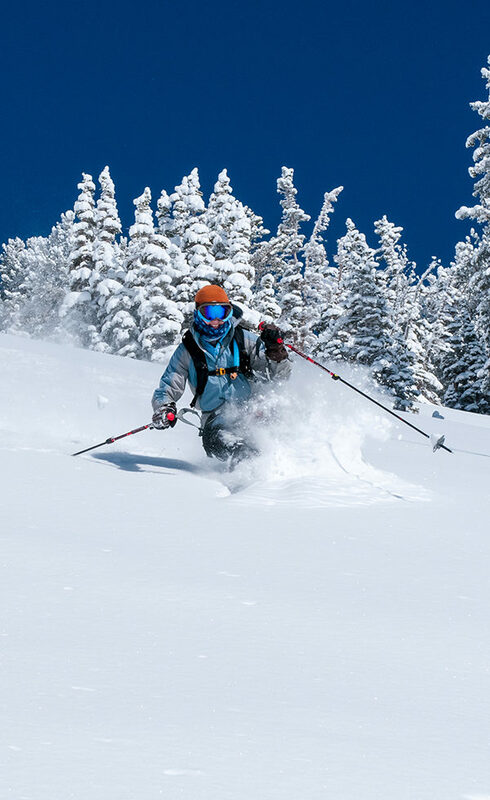 A half day to help you turn better in powder, for example to give you that one thing that is missing; that little hint that changes everything! And yes, you need to learn to have fun, but it will give you lasting pleasure! One of our mountain guides, exclusively booked by you or your group, will guide your party for a great day of freeriding. This is the better option if you are a good to excellent skier. I want to enjoy a half-day off, leaving the pistes of Meribel far behind ! You will learn and improve in safety in a gorgeous setting. Discover the magic of the mountains at your own pace. You can enjoy this time alone, or with friends or family. A real pleasure, a well deserved treat. In Practice : You will meet at 9:00 am or 1:00 pm at the agreed meeting place. You will ski until 12:30 or 4:30 pm. Required ski level : black slope.